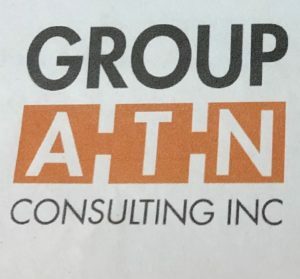 The Windsor Agricultural Society is pleased to announce Group ATN (GATN) as the successful proponent of our recent request for proposals for a Business and Concept Plan for Hants County Exhibition and HCEx Park. Group ATN provides a diversified consultancy serving the public and private sectors, First Nations and Aboriginal Interests and Non-Government Organizations (NGOs). Group ATN also specializes in tourism analysis, communications and marketing. 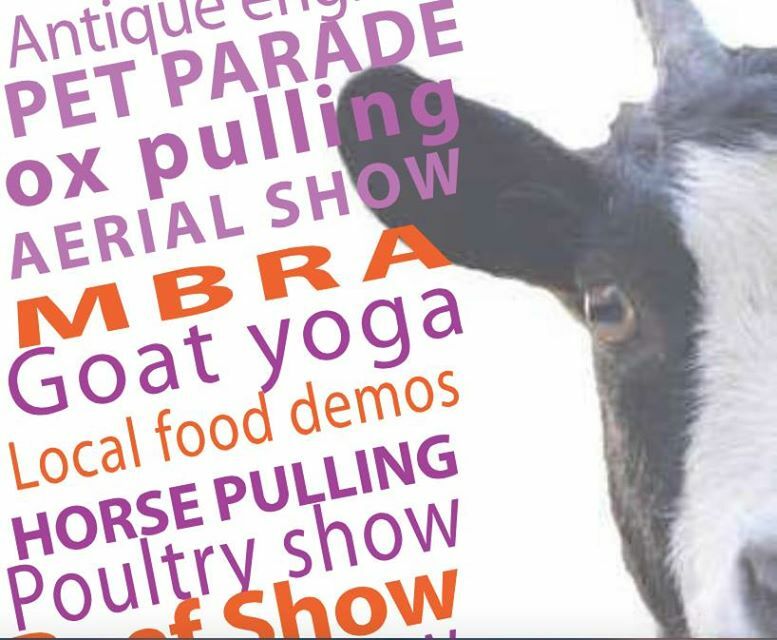 The oldest Agricultural Fair in North America, Hants County Exhibition, is planning a kitchen upgrade for community functions, and local food demonstrations and tastings. Thank you to Pioneer Seeds for offering this amazing $50,000 grand prize! And thank you to our community for voting daily to make this prize a reality. Stay tuned as we finalize our plans. Here’s to hometowns! On January 29 2019, the Windsor Agricultural Society was pleased to hold its Annual General Meeting of Directors. The Society undertook to review and approve its minutes of the previous year as well as a review of its operations and and its financial statements. At a time when many small not-for-profit Society’s are challenged to find and replace new directors, this year, the Windsor Agricultural Society was very pleased to secure the support of 6 new directors. Harry Ullock, Melanie Francis, Rod Corkum, Cynthia Duey, Kim Frank, Jane Kerr, Janice Keith, Stephen Rafuse, Andy Woolaver, Brad Hood, Wyatt Oulton, Jared Burgess, Peter Francis, Jennifer Lindsay, Eugene Swinamer, Joel Rafuse. The Windsor Agricultural Society is pleased to annouce that their facilities will be host to the Erin MacQuarrie Dressage Clinic – August 3 and 4 at Hants County Exhibition Park. The clinic will offer a limited number of spaces on a first come first serve basis for $250 +HST (includes two semi private 50 min lessons and weekend stabling). Whether you are schooling to improve your performance in hunter/jumper or in the dressage ring, this is a great opportunity to work with an Equine Canada certified Competition Coach Specialist in a large indoor arena in a small riding group of two. 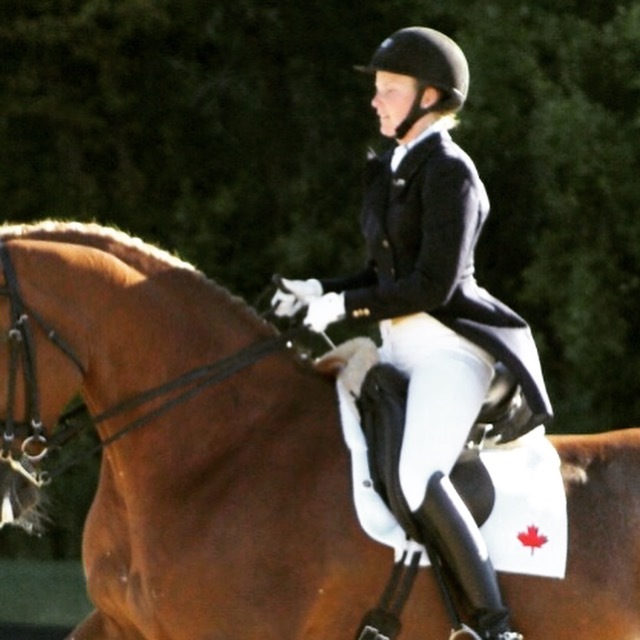 Erin has over 100 students competing at various levels including FEI Jr and NAYRC, and she’s brought many horses from training level through to Grand Prix with much success. It will be a great learning weekend in Windsor. Don’t miss it. For more details contact: Hantscountyex@eastlink.ca for registration. Submission deadline extended to Jan 21 at 4PM. Please note The deadline for proposal submissions has been extended to Monday, January 21, 2019 at 4PM. All other submission requirements remain the same. There are exciting times ahead as the Windsor Agricultural Society embarks on a new journey in reviewing and charting its future course and direction. The process begins with the issuance of our business case and concept site plan RFP (“request for proposals”). Please feel free to share our RFP with qualified individuals or companies that you know who may have an interest in responding. Closing date for responses is January 21st. Thank you. With its RFP out for tender (due Jan 15th) there are exciting times ahead as the Windsor Agricultural Society embarks on a new journey in reviewing and charting its future course and direction. Please feel free to share our RFP with qualified individuals or companies that you know who may have an interest in responding. Closing date for responses is January 15th. Thank you. On Thursday Dec 20th, Scott Brison, MP King’s South announced the funding being made available through the federal governments infrastructure and renewal program for a new arena to be built on the Windsor Agricultural Society grounds. 4.4 million dollars was announced federally coupled with an increased provincial allocation of $3.7 million. When combined with the funds allocated by the Municipality of West Hants 2.3 million and the Town of Windsor (1 million), total committed funds to date add up to $ 11.1 million. The new facility will incorporate an ice rink, walking track and indoor soccer field. It was quoted many times during the announcement as a game-changer for the local area and a tremendous step forward in community and economic development. 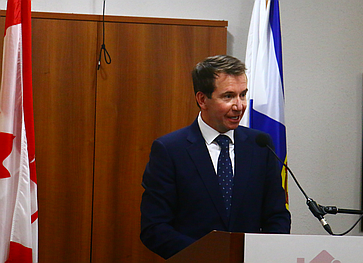 During the announcement MP Brison also commented on the plans for the new equestrian and agricultural facility that are being worked on by the Windsor Agricultural Society. Its new facility is intended to provide the community with a much needed, year-round multi-purpose facility for their agricultural needs. 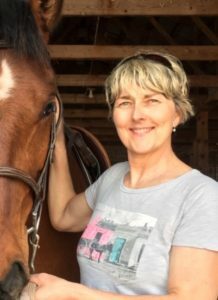 The board of the Windsor Agricultural Society (WAS), welcomes Lisa Hines as incoming General Manager of Hants County Exhibition Park and the Hants County Exhibition, North America’s Oldest Agricultural Fair, in Windsor Nova Scotia. Hines has been an active WAS director, and is a lifelong fair lover with ‘exhibition in her blood’. 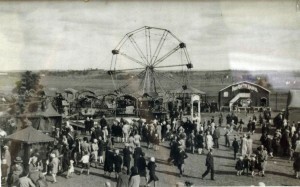 Grandfather Herb Coombes, a local farmer, served various terms as a WAS director, including 1949 when the current exhibition site was purchased. 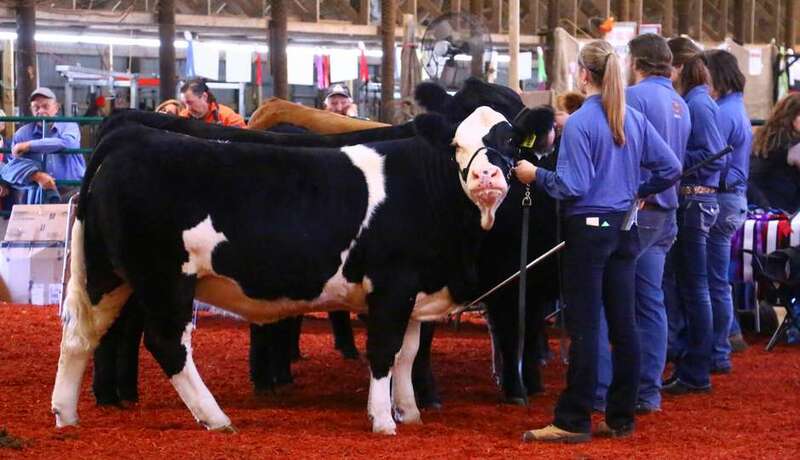 Her late grandparents were firm believers in the educational value of agricultural exhibitions, and had a strong influence on the number of school days missed by their children, grandchildren, and great grandchildren during exhibition week. Father Dave Coombes, a career fair manager, was at the helm of HCEx for 53 years until he passed away in March 2018. Hines filled in as manager for the 253rd year of the fair. With a Bachelor of Design in Communication (NSCAD), 30 years of project management experience, along with a lifelong interest in agriculture, Hines brings a wealth of experience to the position. 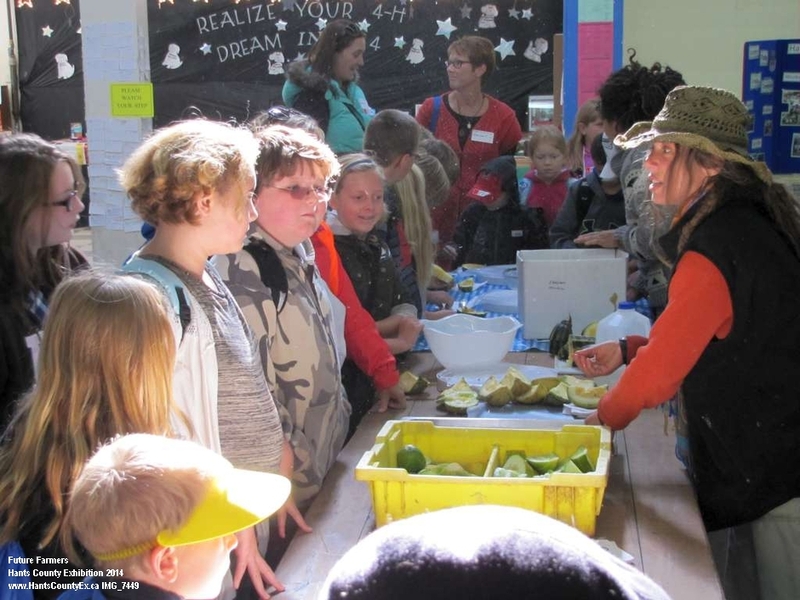 Consistent with the beliefs instilled by her grandparents, she has been instrumental in the development of Future Farmers Friday, a school learning program hosted by HCEx, going into its sixth year. 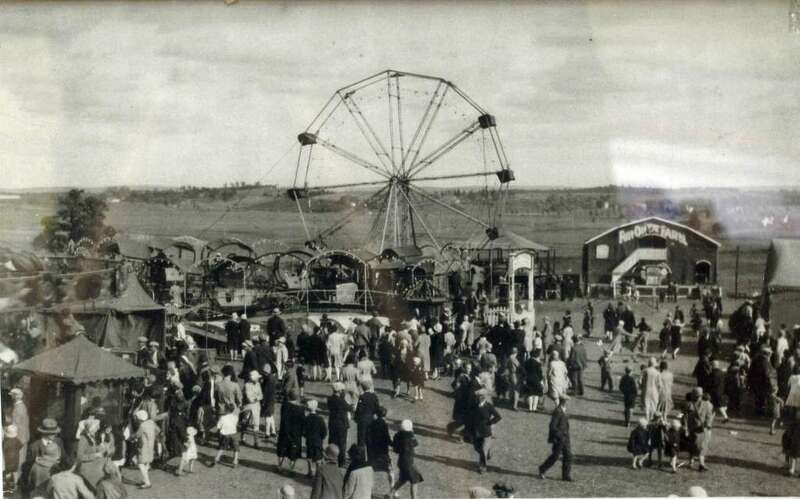 Hants County Exhibition Park has forever been a happy, busy four season family destination for Hines – through exhibition, pony club, 4-H, horse and poultry shows, and hockey. She looks forward to working with staff, directors, and volunteers through the coming challenges and opportunities, and is proud and humbled to be carrying on a family tradition. To prepare for changing times the WAS is currently seeking Requests for Proposals for a business and site concept plan for HCEx Park. For information on the RFP; booking our multipurpose facility for a show, festival or event; sponsorship opportunities; or upcoming events please contact us. 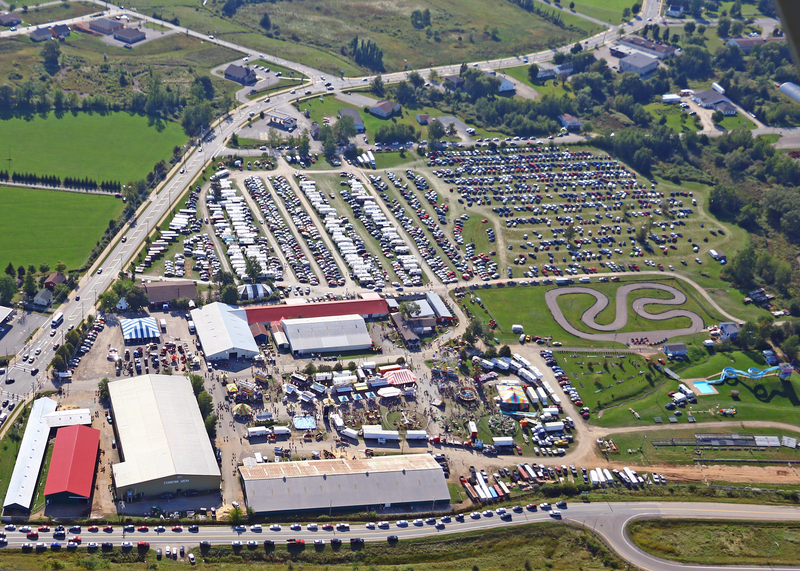 Hants County Exhibition Park is located just off highway 101 at exit 5a, 40 minutes from HRM. 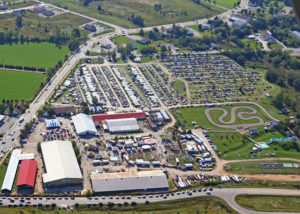 2019 exhibition dates are September 13-15 and 20-22. 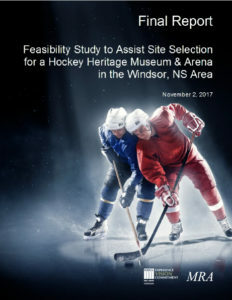 As the Windsor Agricultural Society begins the process of charting its new course, it has taken the time to review the feasibility study provided as part of the Arena Project analysis in 2017. The study is valuable in its assessment of the area for entertainment facilities (the arena) and the overall market demographics of the area. A copy of the analysis can be accessed via the image link below. *Due to the file size it is better to simply download a copy [“Click” image below and when the pdf file opens – right click it and select “Save As”]. 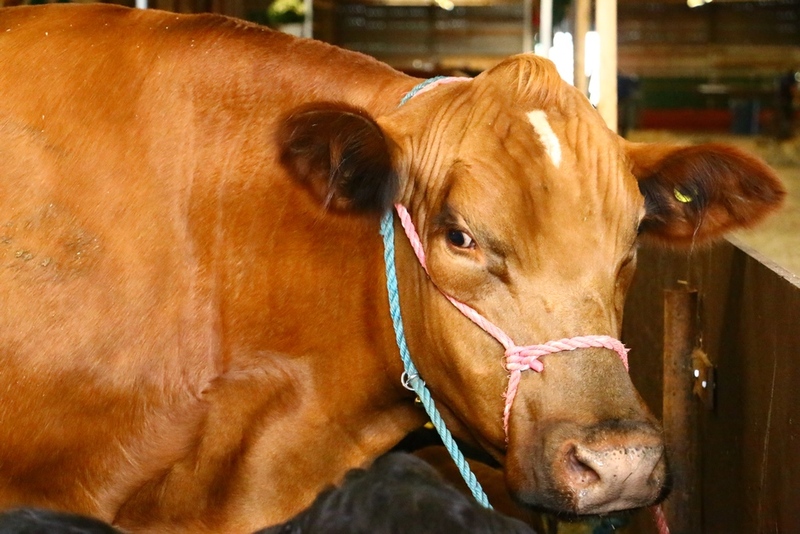 The Classic Heritage Beef Show, featuring more than 265 head of cattle from all over Eastern Canada – and that’s no bull! Come on down and catch the sights, it promises to be well worth it. 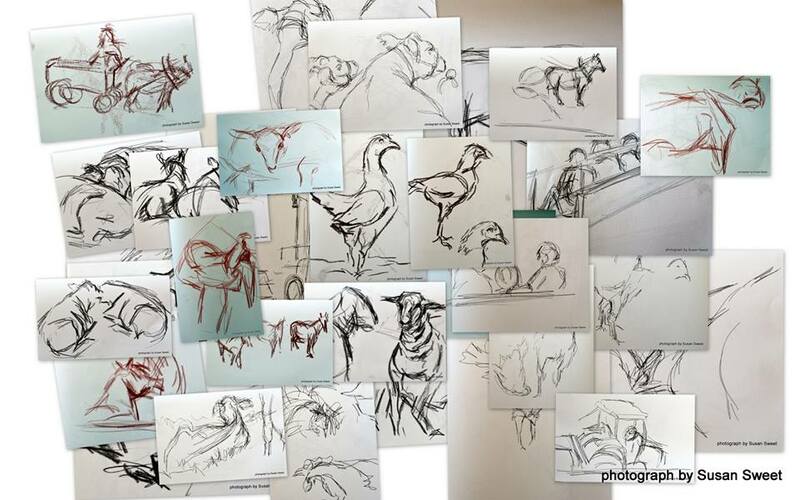 Susan has been working in her sketch book at the Hants County Exhibition during her stint as artist in residence at the annual agricultural fair. Here are a few of her sketch book pages from last week. Look forward to more this weekend and a final painting project in the future! These are gestures in marker, pencil and conte . 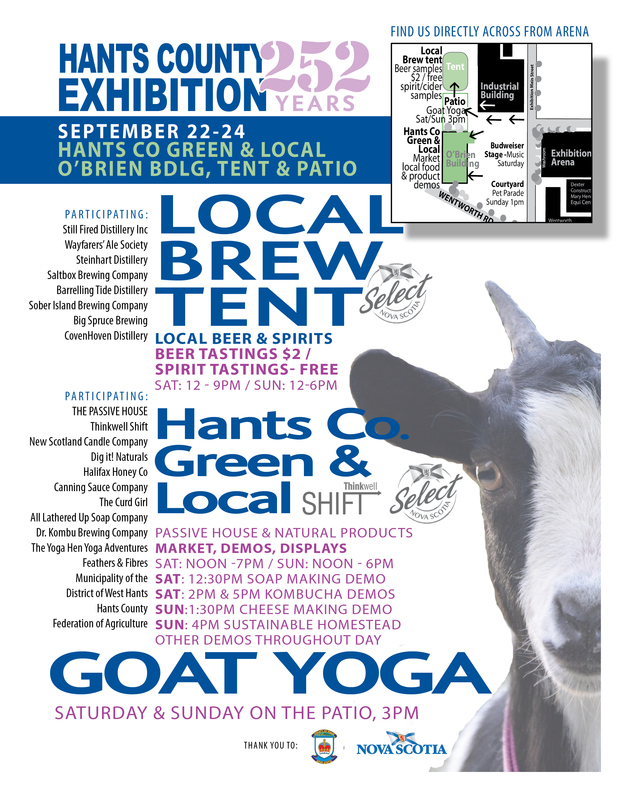 Join the the Yoga Hen at the Hants County Exhibition on September 23rd at 3:00 pm for a fun filled yoga session with Goats. 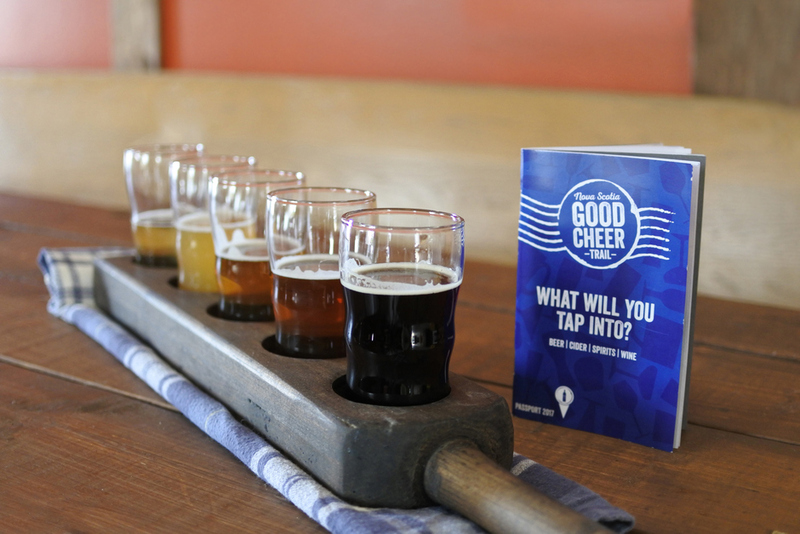 Bring your mat and sense of adventure to this latest craze that everyone is trying. Just imagine a second weekend as big or bigger than the first. A Brew Tent with beer wine and spirit samples from across the province. A local event feature with food, arts, crafts, green energy and demonstrations that will amaze. AND Goat Yoga! 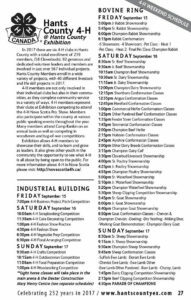 Check them out at this years 252nd Hants County Exhibition! What a beautiful warm day! Vendors are busy setting up in the Brew Tent. Come enjoy some great local beer, cider and spirits on the patio. Still Fired Distilleries Inc is set up and ready to go! And don’t forget the Wentworth Creek Farm pickling demos at 1, 2:30, 4. Marine Institute of Natural and Academic Science will be here (ask about Pumpkin the local great white shark) and check out The Passive House and learn how to save! 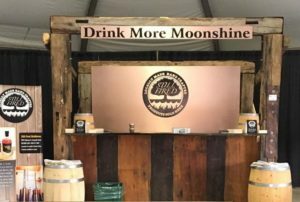 Brew Tent – A Hopp-ening Good Time! 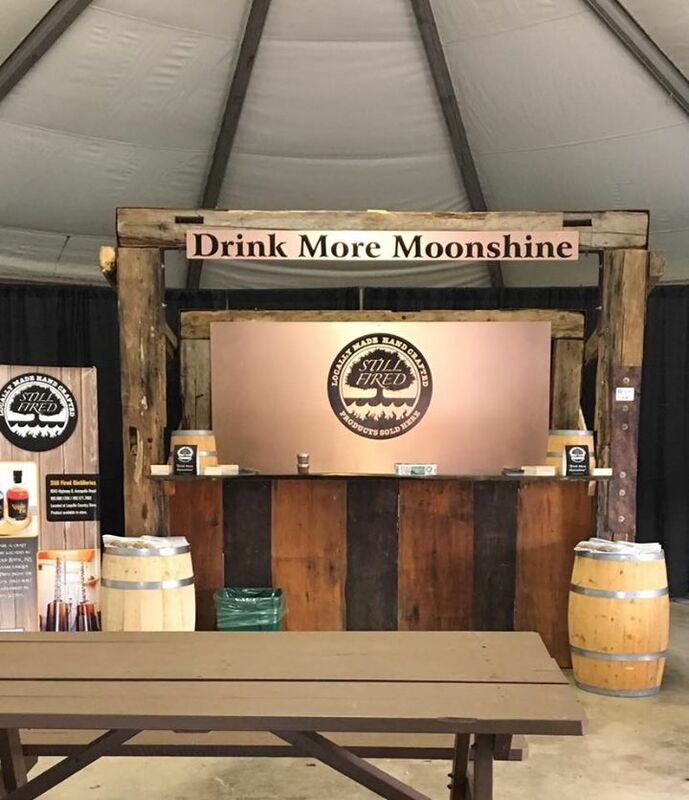 Sat & Sun Sept 23-24…Offering free sprit and cider tastings, THE BREW TENT will be “hopping” with local beer, cider and spirits both Saturdays (noon til 9pm) and Sunday starting at noon til close. 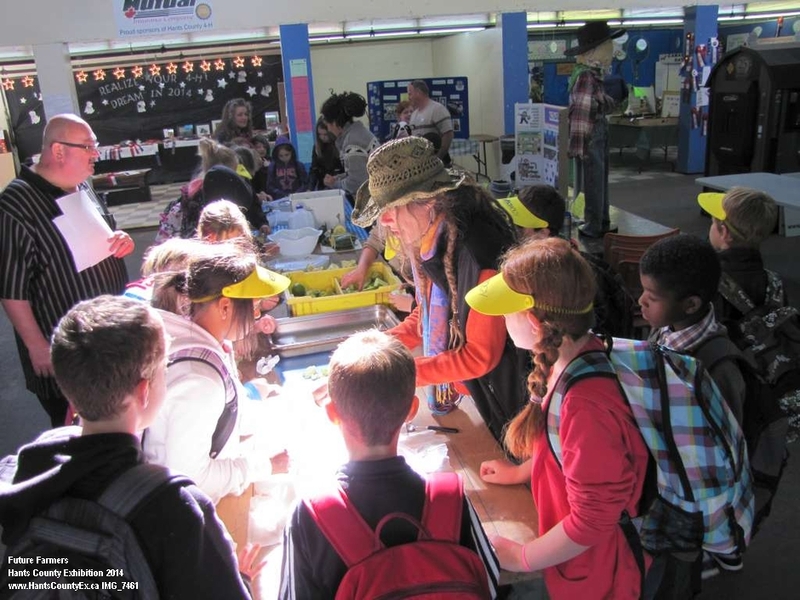 Check out the local food demos and the vendors at Hants County Green & Local inside the O’Brien Building and look through the Passive House (and learn how to save energy and $$). The Midway – Always a Favorite! Midway faces! 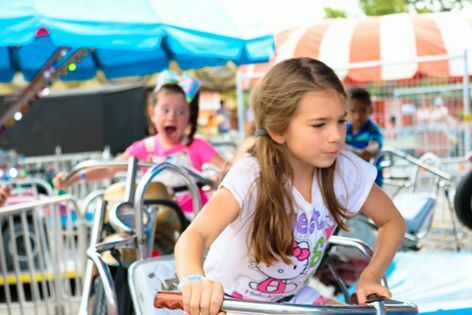 🙀 🤣Advanced midway bracelets are on sale at MacLeans and Needs PetroCan, Lakeside Variety, New Ross Clover Farm Store, Windsor Home Hardware. $24 ($26 at Ex) Show bracelet to parking gate attendant for free parking. Sun. Sept 24th…. 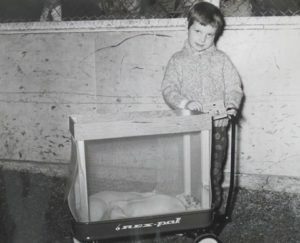 How many of you took part in the Exhibition Pet Parade as kids? Little Liza Sweet did. Here she is proudly parading piglets at exhibition in 1962, the 197th Hants County Exhibition. The Pet Parade is back, Sunday Sept 24 at 1pm in the courtyard. Free admission to participating child (with pet) and one adult. Costumes are encouraged, and smiles are mandatory. Fri Sept 15th…It’s a busy time of the year for Future Farmers Friday! This year on September 15, we’ll welcome over 600 students, teachers and chaperones from Windsor Forks, Falmouth, Dr. A. Hines, Hantsport and Three Mile Plains Elementary Schools. 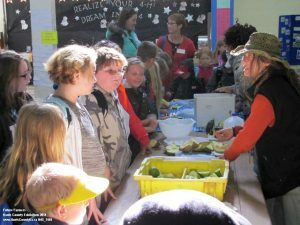 Future Farmers Friday is an opportunity for children to learn about agriculture, the environment, and our community – AND have some fun at the Hants County Exhibition. @Nova Scotia Department of Agriculture Mad Science Hants County 4-H @Nova Scotia Antique Engine & Tractor Association to name a few. Thank you to all who help make this happen. The Image shows maps with learning stations. 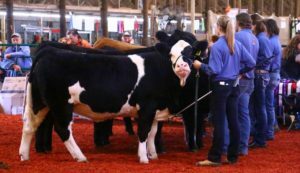 Sept 15 – 17th… 4-H weekend is coming fast! 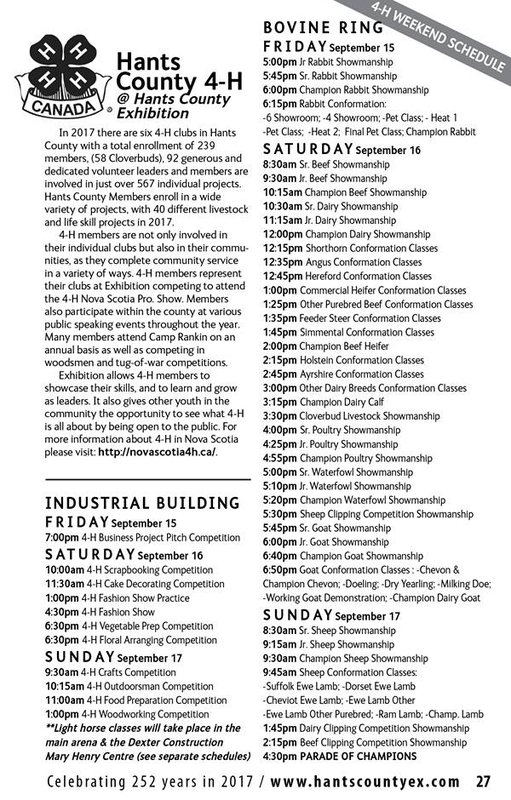 The Hants County Exhibition is happy to be able to add the complete 4-H schedule for Sept 15-17 to our program book this year, for the convenience of club members, parents and 4H fans. 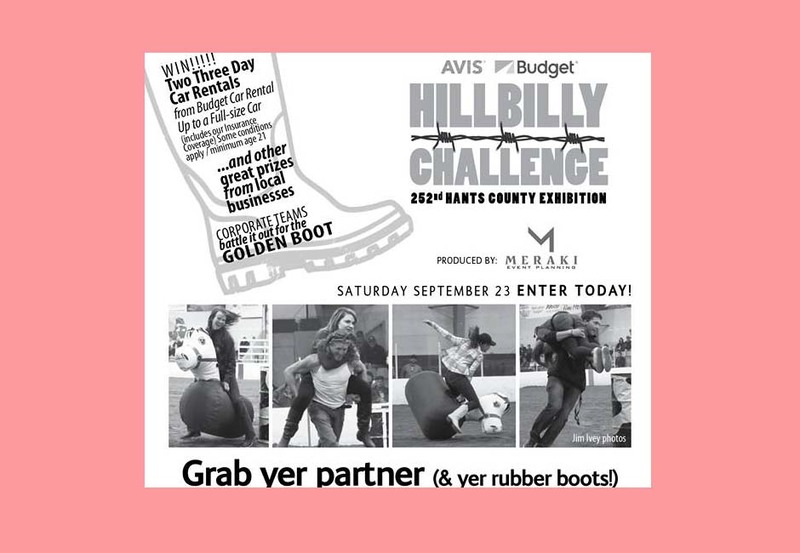 Sept 23rd… Register before Sept 16th to participate as a team of 2 in the Hants County Hillbilly Challenge on Saturday, September 23, 2017. This event takes place during the second weekend of the 252nd Hants County Exhibition and is sure to be a hillbilly good time! Participants will be required to complete several tasks throughout the day(11am-6pm) to qualify for the grand prize. 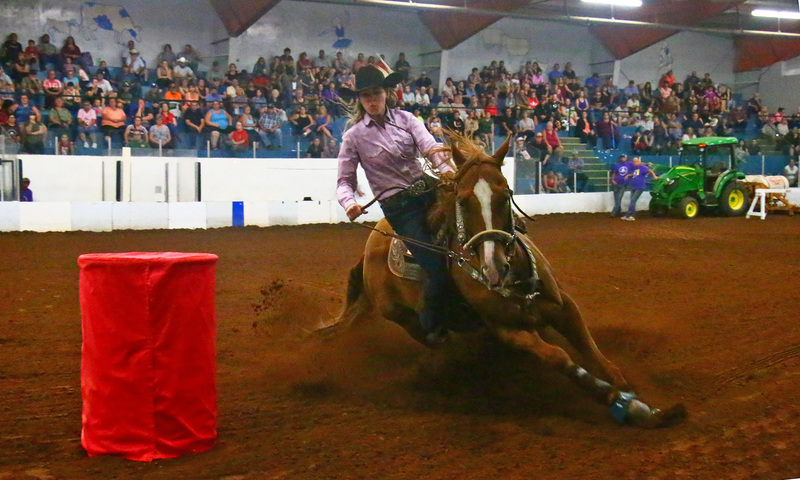 The main event will take place at the Exhibition Arena and will have teams taking part in challenges such as partner carry, wheelbarrow weave races, hay bale carry, square dancing, and “horse” racing! 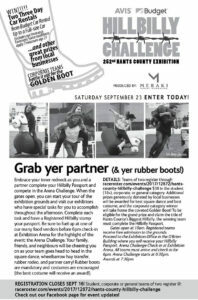 All participants MUST compete the arena challenge in rubber boots! Costumes are encouraged and a prize will be awarded for the best one! There will be a corporate/business category, a student (must be 18+) category, and a general category. Prizes will be awarded for the winners in each category.